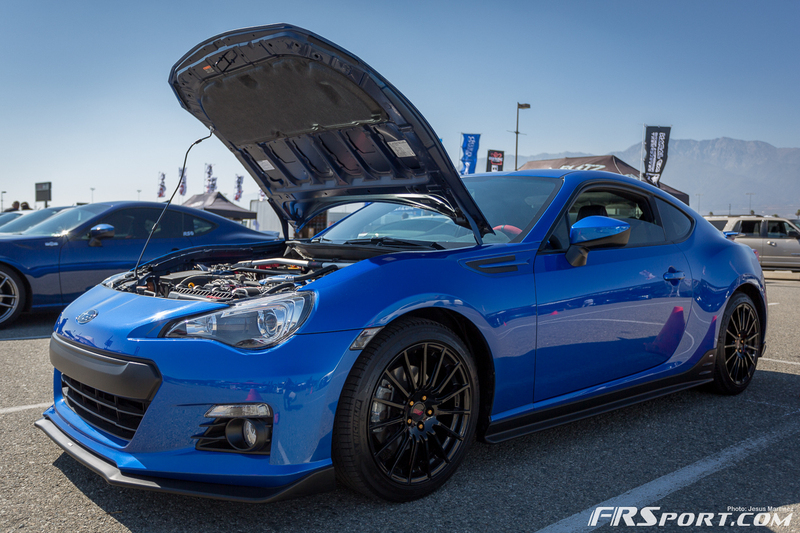 For the first time in its history, FRSport had the opportunity to have a booth at one of Southern California’s most popular car shows and brought out two big guns out to the event! One of them was our brand new Subaru BRZ and the other was our large selection of performance products for the BRZ and the FR-S. 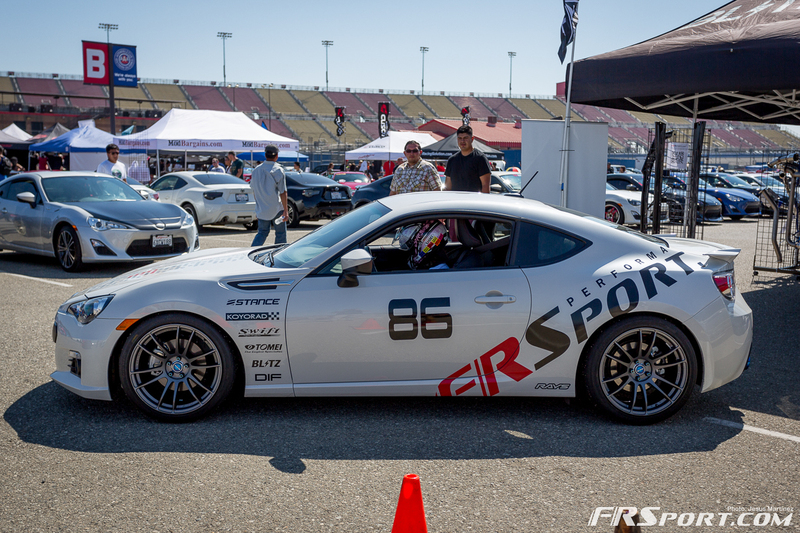 These were the two figurative weapons FRSport brought to the 2013 86FEST event at Fontana Speedway. The show was incredible and boasted some of the most fresh and current styles pertaining to the Scion FR-S and the Subaru BRZ. 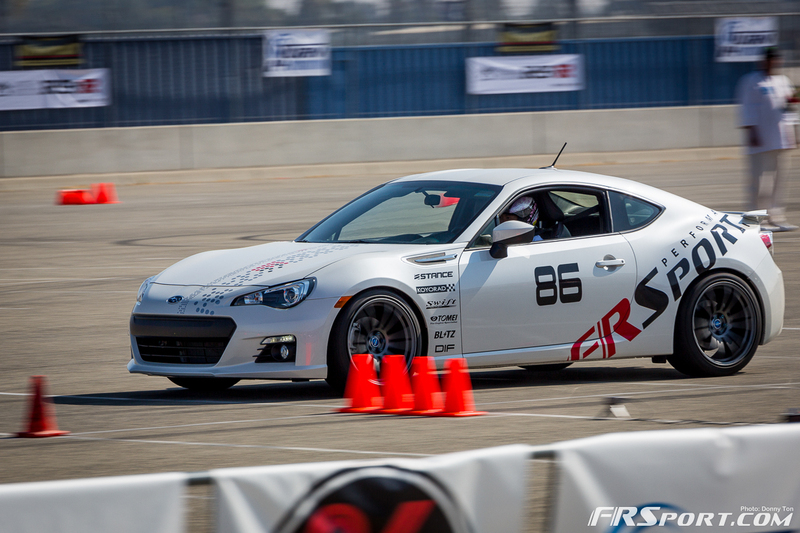 Aside from the car-show aspect of the event, we really got to test the performance and handling characteristics of our Subaru BRZ. 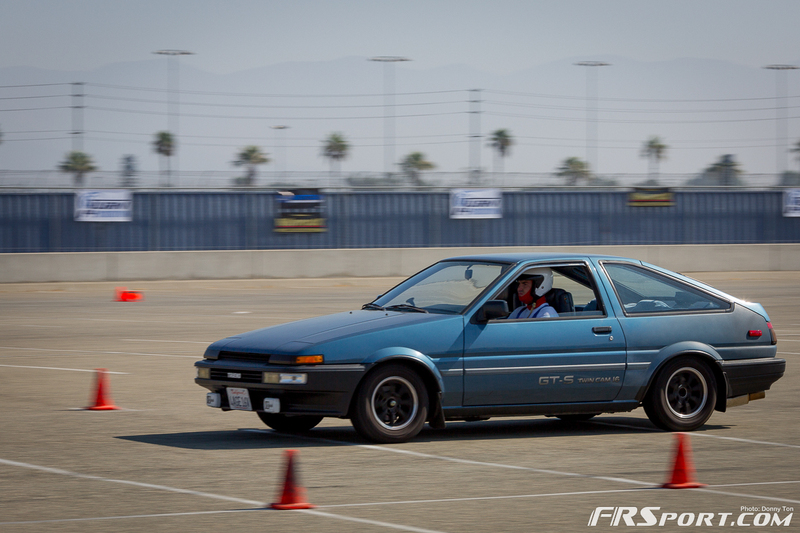 86FEST hosted autocross sessions and ride-alongs for people that paid a VIP entrance and vendors too. 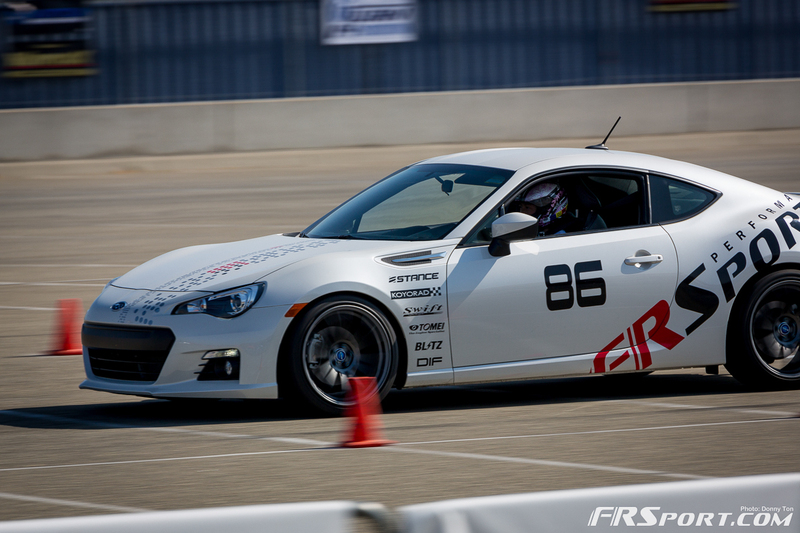 This was our 2013 Subaru BRZ car with livery made in house and ready for action. In this image it is rocking our most aggressive set of tires and wheels. 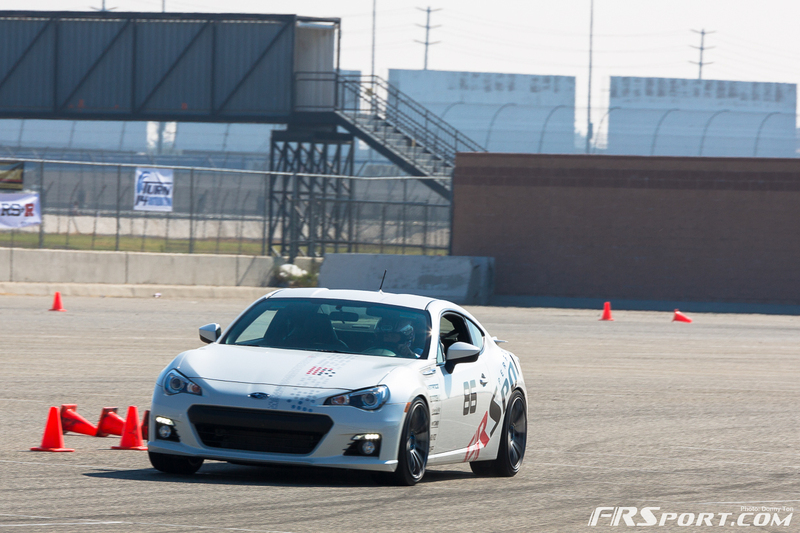 It was in this configuration that our FRSport BRZ was able to post a time of 20.4 seconds out on the course. This was one of the fastest times of the day among all the competitors. The tires adorning the extremely concave wheels were Hoosier Slicks (so we may have had a slight advantage) and the actual wheels were Rays Gramlights 57Xtreme Wheels in Matte Graphite, 18×9.5 +40 5×100 to be exact. 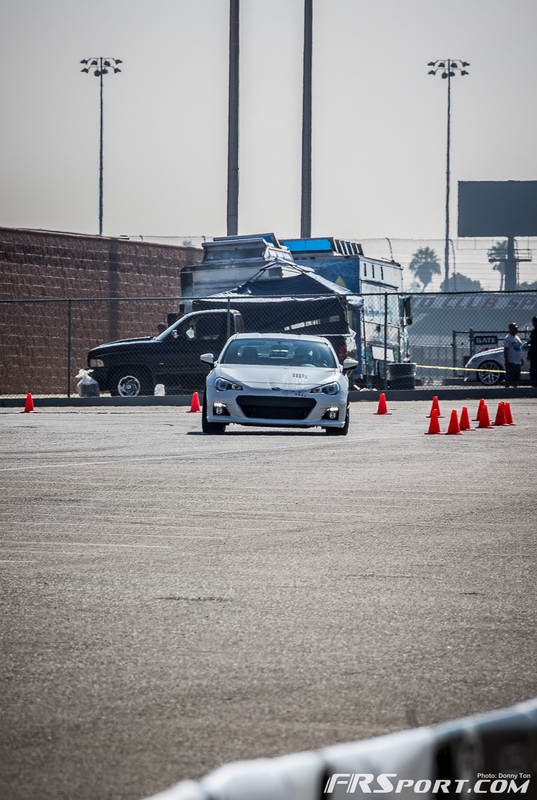 In this image one can see just how hard our drivers, Adam Knapik and Catherine Tran, were driving our brand new car. 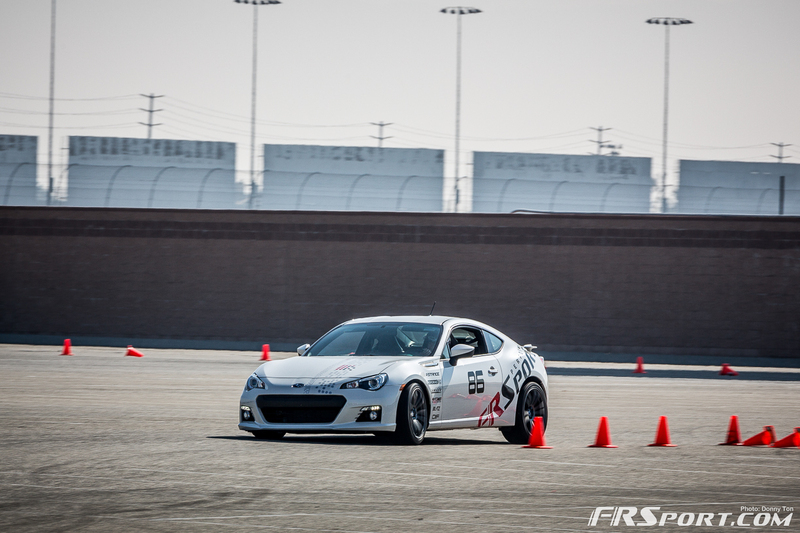 The combination of Stance Super Sport Coilovers with Swift Springs installed, performed great at this autocross event. Perhaps in the future if we swap out the older Hoosiers with fresh new ones we can increase our times further. 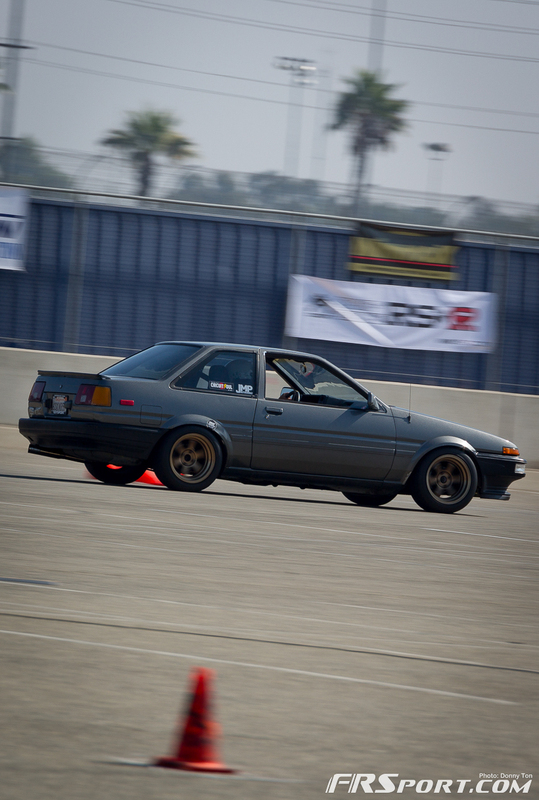 Other cars were performing great out there as well and it was great to see owners of classic Corollas pushing the pedal to the metal! To drive your classic car the way it was meant to be driven is an ideal that all of us here at FRSport share. The main part of the event was the show aspect and there were quite of noteworthy cars at 86FEST. 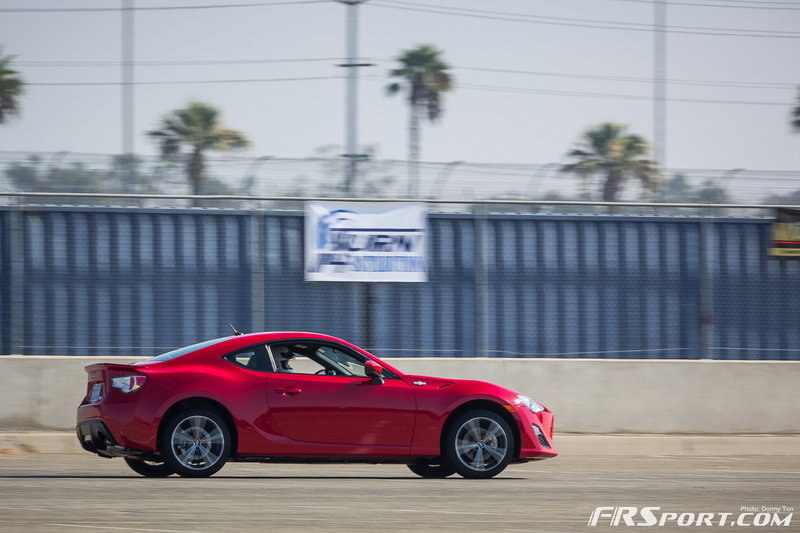 This Megan FR-S was sure drawing plenty of attention with its radical stance. There is still a huge debate over if a vehicle should be more functional versus form and the other way around; should a vehicle emphasis form over function. we can ultimately agree however that this Megan Racing example falls under the form camp for sure. We have seen the Gramlights FR-S before in images, but to actually see it close up was an actual treat. The contrasting electric blue hue of the body versus the neon orange color of the wheels was definitely a visually stimulating treat. The wheels on display at the Mackin booth were also truly magnificent! The image above shows the Rays Gramlights 57Xtreme in Velvet Matte Blue, a color that we originally wanted for our BRZ but could not get due to time constraints. 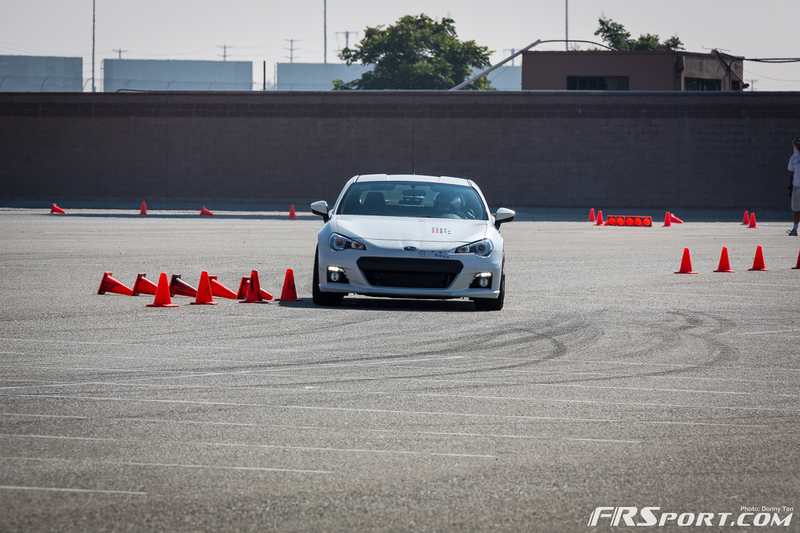 As manufacturers progress in tinkering with the FR-S and the BRZ, not only wheels but engine compartments as well will see extreme innovation. Check out this great looking engine bay for example, it is completely done in carbon fiber. Matthew Law’s extremely wide over fenders for the FR-S and BRZ were also on display on this immaculate Teal FR-S. ML24 body components and aero are some of the best fitting and looking designs we have seen on these cars. 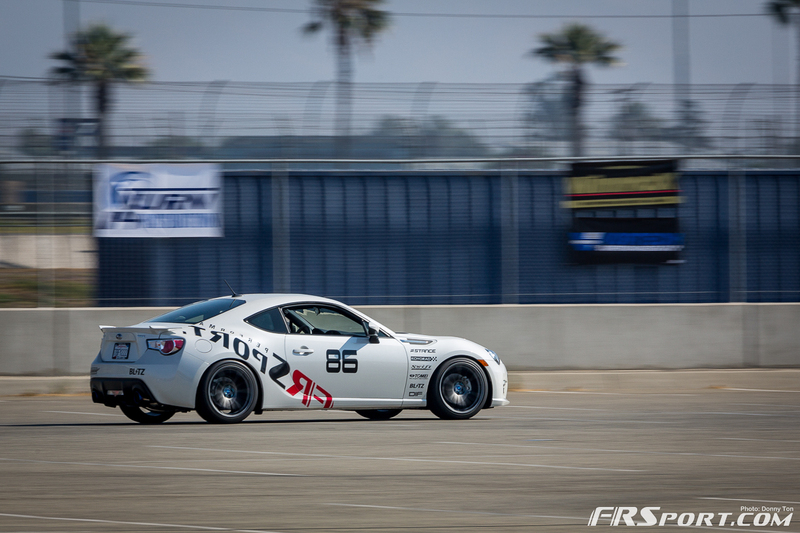 Of course the Rocket Bunny donning FR-S’ and BRZ’s were out in force as well. 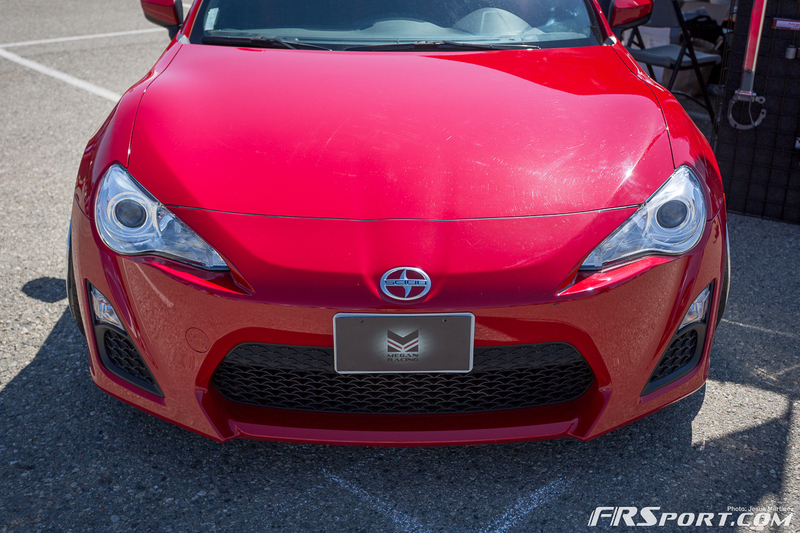 This example emphasized the lines of the body kit by placing a black rubber lining under each Rocket Bunny panel. Perhaps it was to keep the panels from completely ruining the bottom factory metal of the car? What ever the reason, it certainly increased the unique execution of this popular body kit. This was Toshiki Yashioka’s Drift and Time attack monster at the HPS Silicone Hoses Booth. We really admire drivers that build their car’s in order to adapt to more than one racing type and so were excited to finally see his car. Toshiki and our co-worker Adam share this same mentality, drifting one weekend and time attack on another. 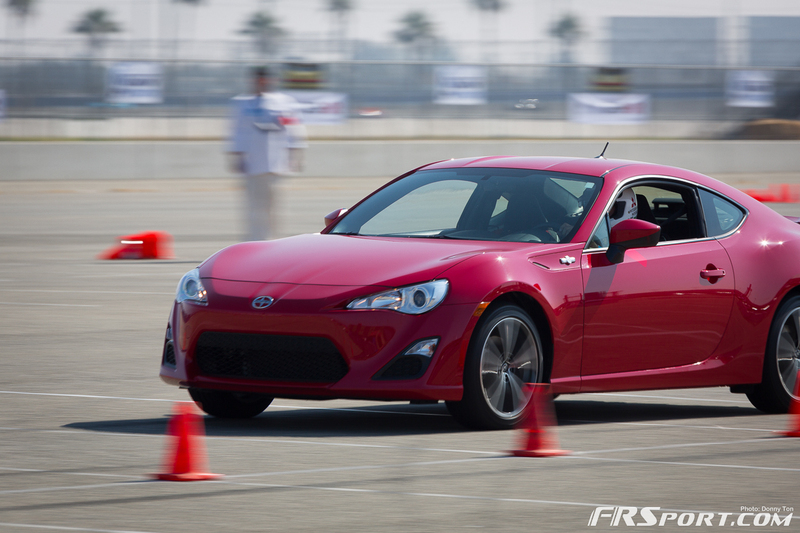 Aside from the very new, 86Fest wasn’t only about the current offerings from Scion and Subaru. This extremely well done Toyota Corolla was present at the HRE Wheels booth. HRE enjoyed exceptional traffic through out the day due to the fact that they were raffling one of their $3,000 wheel sets. 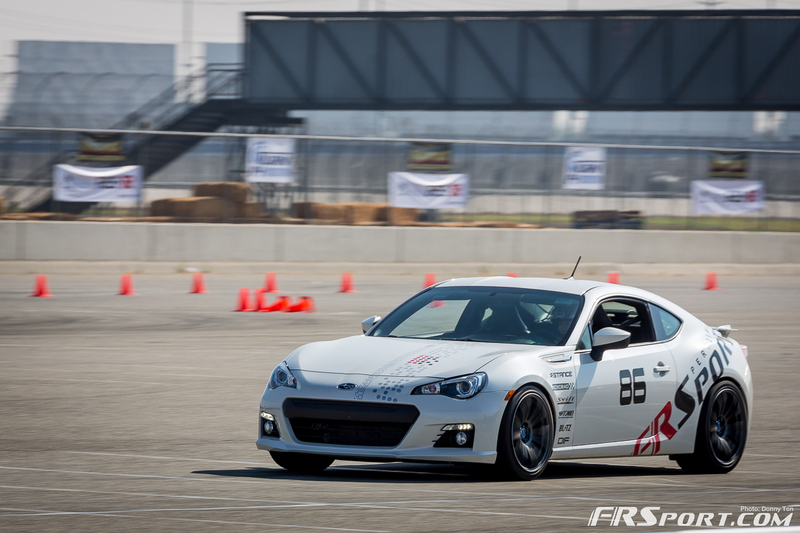 A really close friend of FRSport was one number away from winning. This whole week we have been joking about what could have been! 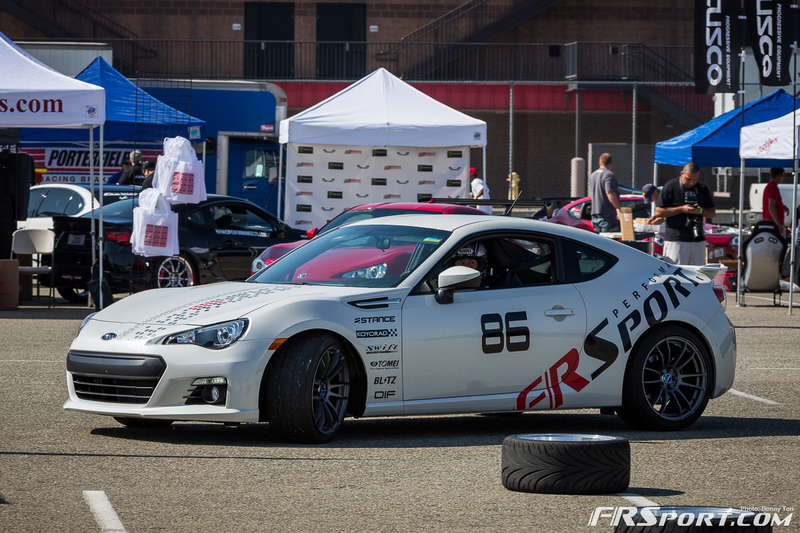 In retrospect the event flew by and was a tremendous experience for FRSport. The team was there from 6 in the morning and didn’t get back home until 7 in the evening. 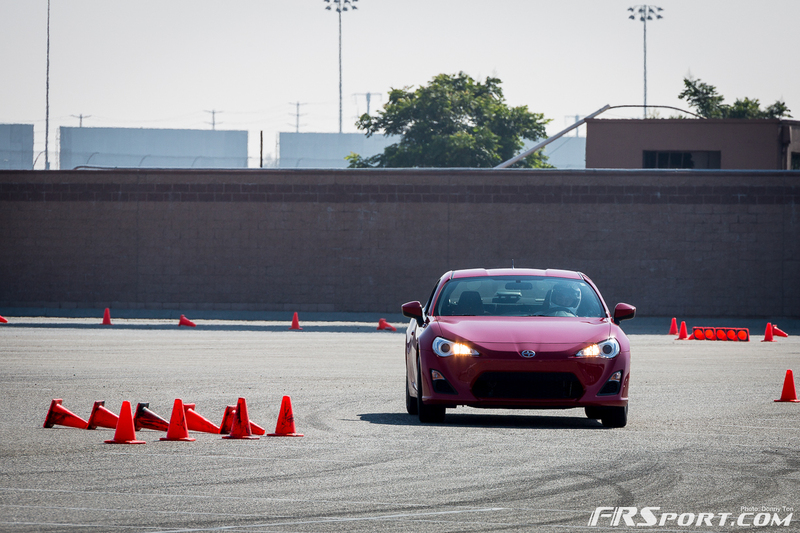 We were all very tired but even more excited to have met and networked with the FR-S and BRZ community. We have three more events we plan to attend this year; all in a span of about 4 months. I am truly excited for the crazyness that is about to ensue! Liked the images? Make sure to check out our complete gallery of the event by clicking the button below. Enoy.